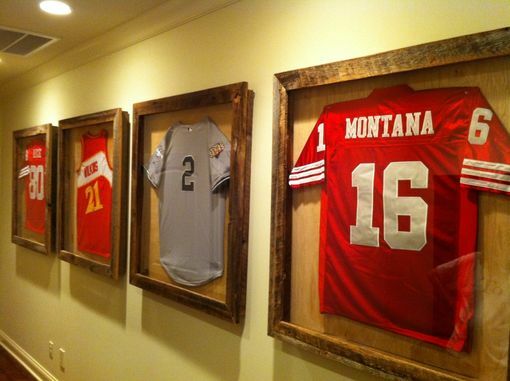 Gorgous display case for showcasing jerseys and other valuable collections. Display case features custom build case with hidden hinged glass door. Other wood options available.